Below you fill find all funeral homes and cemeteries in or near Huntley. Zip codes in the city: 60142. Anderson Funeral & Cremation Services has been family owned and operated for over a century. Located in Belvidere, we are known for serving the people of Northern Illinois with love and respect. Huntley is a village in McHenry and Kane Counties, Illinois. In 2008, the U.S. Census Bureau estimated the village's population to be 22,923. As of the 2000 Census, the village had 5,730 people, meaning the village's population had quadrupled in eight years. At the 2010 census, the village's population was 24,291. Government officials in Huntley, an outer suburb of Chicago, have adopted an aggressive development strategy regarding this population growth.Huntley is best known for its Premium Outlets mall and Sun City retirement community, the largest in the Midwest. The old part of Huntley is also known for its public square which features a gazebo, as well as a full brick-paved street (Woodstock St.) and 1950s-style diner, The Huntley Dairy Mart. The village's slogan is "The Friendly Village with Country Charm." It was disclosed by The Daily Herald on February 21st, 2019 that Allan R Piske perished in Huntley, Illinois. Piske was 80 years old. Send flowers to express your sorrow and honor Allan R's life. It was disclosed by Chicago Tribune on February 16th, 2019 that Esther Kowalczyk (Zurek) died in Huntley, Illinois. Ms. Kowalczyk was 92 years old. Send flowers to share your condolences and honor Esther's life. It was noted by Chicago Tribune on February 16th, 2019 that Jacqueline Marie "Jacquie" Musial (Slusser) passed away in Huntley, Illinois. Ms. Musial was 88 years old. Send flowers to express your sympathy and honor Jacqueline Marie "Jacquie"'s life. It was disclosed by The Daily Herald on February 15th, 2019 that Michael S Luciano passed away in Huntley, Illinois. Luciano was 77 years old. Send flowers to express your sympathy and honor Michael S's life. It was disclosed by The Daily Herald on February 3rd, 2019 that Manfred "Fred" Gnoyke passed on in Huntley, Illinois. Gnoyke was 70 years old and was born in Neustadt, . Send flowers to share your condolences and honor Manfred "Fred"'s life. It was revealed by Chicago Tribune on February 3rd, 2019 that Edward W Haberstroh perished in Huntley, Illinois. Haberstroh was 79 years old. Send flowers to express your sorrow and honor Edward W's life. It was disclosed by Chicago Tribune on February 3rd, 2019 that Dolores F Shappert (Skrobicki) passed on in Huntley, Illinois. Ms. Shappert was 89 years old. Send flowers to express your sorrow and honor Dolores F's life. It was reported by The Daily Herald on February 1st, 2019 that Ellen E Rosen passed away in Huntley, Illinois. Rosen was 82 years old. Send flowers to express your sympathy and honor Ellen E's life. It was noted by The Daily Herald on January 31st, 2019 that John B Brady passed away in Huntley, Illinois. Brady was 74 years old and was born in Maryville, MO. Send flowers to express your sorrow and honor John B's life. It was noted by The Daily Herald on January 27th, 2019 that Constance C Collinet died in Huntley, Illinois. Collinet was 83 years old. Send flowers to share your condolences and honor Constance C's life. A consultant for the village has predicted that by 2020, Huntley will be home to 50,191 people and will max out at 62,560. In 2006, the US Census Bureau estimated the village's population to be 20,047. In 2003 alone, the village gave out 1210 building permits. Huntley has adopted a very aggressive development strategy that would fit more into place in the Sunbelt rather than in an outer suburb of Chicago. 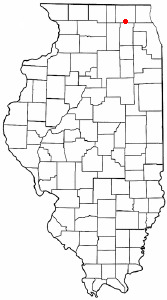 Huntley is a rapidly-growing village in McHenry County, Illinois County, Illinois and Kane County, Illinois. 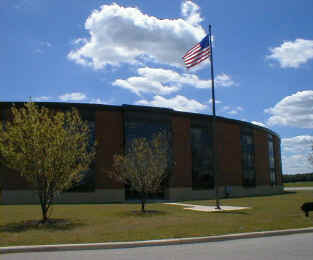 The official website for the city of Huntley is http://www.huntley.il.us/default.asp. Listing all funeral homes in Huntley, Illinois so you can easily send flowers to any location (same day delivery) or find any funeral service. We work with local florists and flower shops to offer same day delivery. You will find budget sympathy flowers in Huntley here. Our funeral flowers are cheap in price but not in value.